The deadline is fast approaching to submit your quilt(s) for consideration for the NJMQG Special Exhibit at Quilt Fest. Please submit by Tuesday, January 5th. You will be notified the week of January 11th about your quilt(s). To be considered for the Special Exhibit, please click here to go straight to the form to fill out. 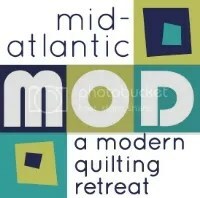 After you fill out the form, please email njmqginfo at gmail dot com with 1-2 photos of your quilt. The emails went out today. If anyone who submitted did not receive an email, please contact us at njmqginfo at gmail dot com. We are going to have a beautiful special exhibit! Betsy Vinegrad and I will be there? Who else is going? Also, Art in the Atrium is Jan 29 in Morristown. Amazing display of arts of all types, including quilts.